FP being released and back in town should be a happy occasion. The worried expression is not a good sign. 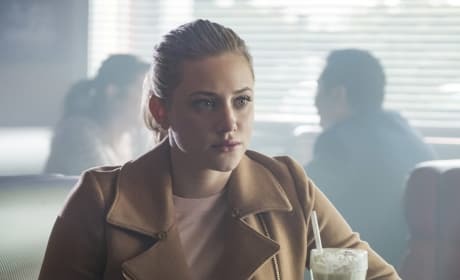 With FP back in town, and Betty taking a stand against The Black Hood, Bughead is taking a fresh start in their relationship. 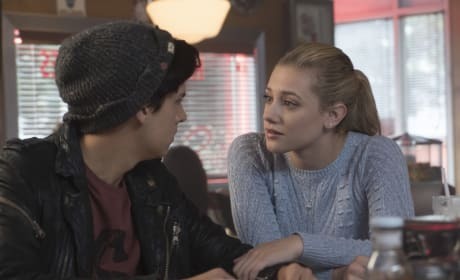 FP doesn't want Jughead to fall into the same trap he did. He doesn't want his son to be in a gang. 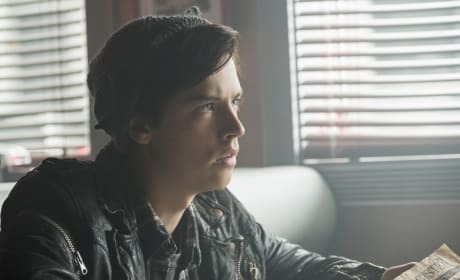 Now that FP is back, Jughead could be free of the gang life. 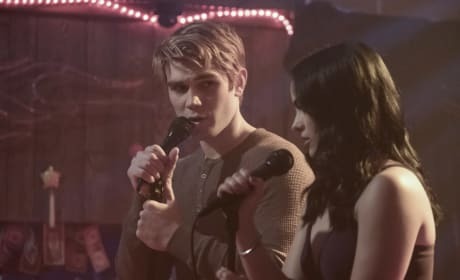 The Black Hood has called on the Reckoning to soon befall Riverdale. 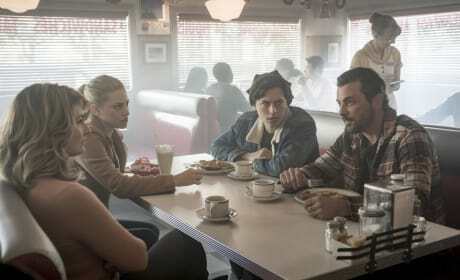 Betty threatened that she will find him. 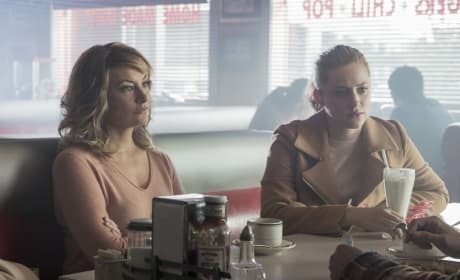 But with her focusing on FP's party, will the killer still strike against her? 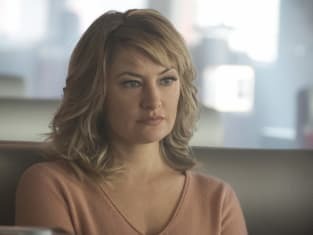 Alice may not like Jughead, FP or anyone from the Southside, but she loves her daughter. 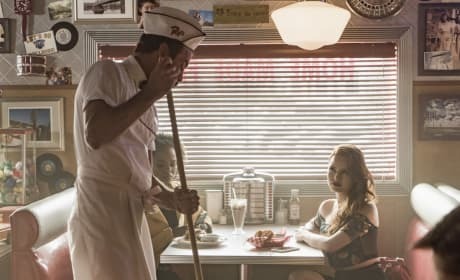 She will stand be her side and welcome back FP. 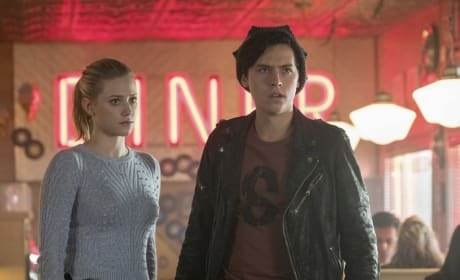 Jughead and Betty plan to throw a welcome home party when they hear FP is being released. The infamous Southside Serpent leader has been set free from jail. 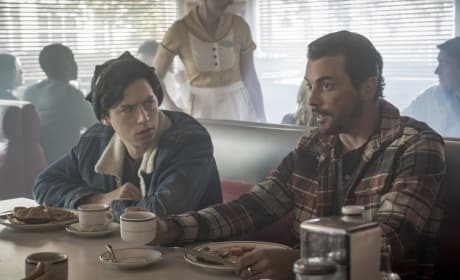 He's back home to be with Jughead. But will he assume leadership now that he's returned? 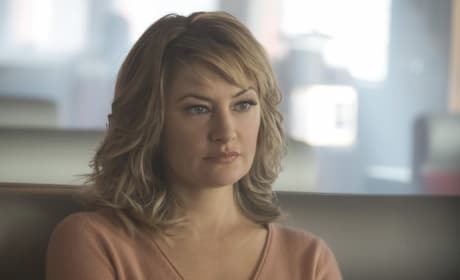 Alice shed her former Southside Serpent image for her new life on the Northside However, even with time away, the past isn't so easily forgotten.